Chew gum in the grocery store. Maybe you’ve heard you shouldn't shop for food when you’re hungry. Well, you might want to pop in a piece of sugarless gum before you head down the aisles, too. 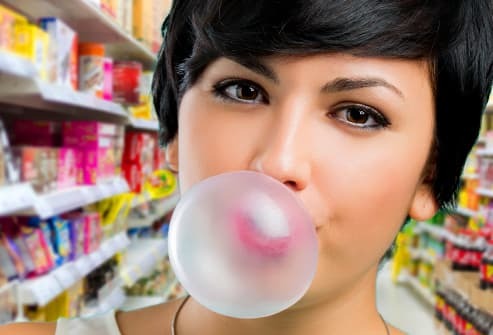 While chewing gum, people felt less hungry and had fewer junk-food cravings, according to two studies. As a result, the people bought fewer high-calorie snack foods, like chips, and brought home more healthy options, like vegetables. Serve yourself healthy stuff first. Whether you’re having a meal at home or choosing from a cafeteria line, load your plate with the healthiest items first. 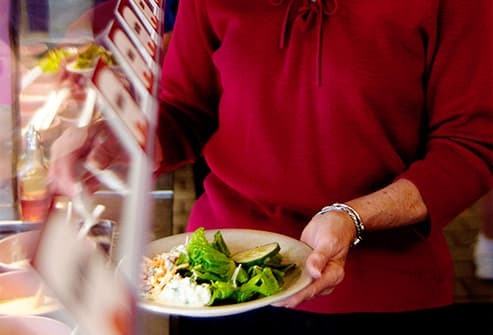 Diners at buffets tend to take larger servings of the first few foods they see, a study shows. So, think before you start piling up your plate. Dish up veggies or whole grains before fattier meats and sides. Buy your lunch with cash. It’s easier to buy junk food and desserts when you pay with plastic. 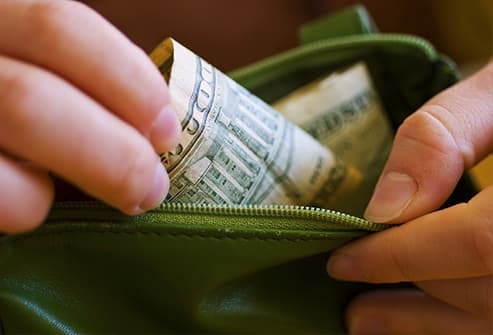 Something about handing over cold hard cash gives people pause. 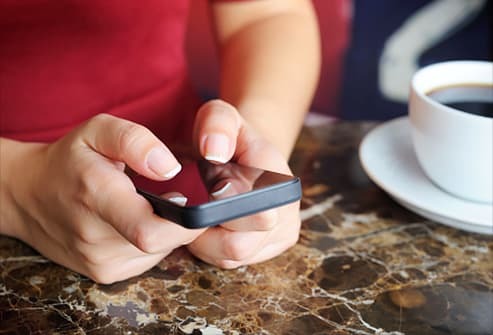 For instance, when high schoolers were told to use cash to pay for less-healthy foods like cookies, they thought twice about it, and often grabbed healthier fare, researchers found. Turn off TV cooking shows. 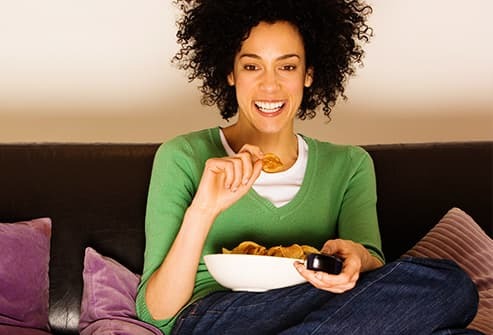 If you’re trying to lose weight, seeing food on TV could make you want to snack. People on diets eat more candy while watching food-related shows than when watching food-free programming, research shows. 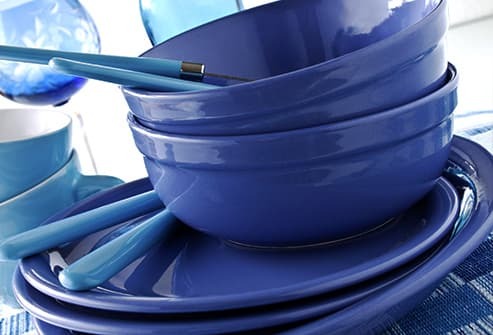 Believe it or not, the color of your dishes might make a difference in how much food you serve yourself. 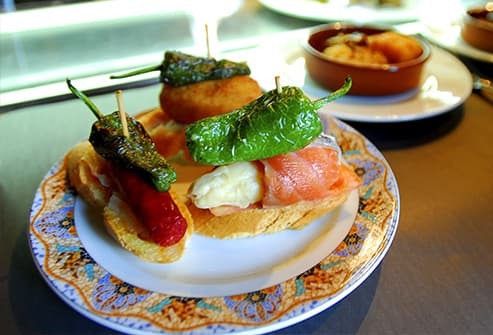 The more the food blends in with the plate color, the more chow you’re likely to take, research shows. So consider using plates in a different hue. Use smaller bowls and plates. The size of your dishes and utensils gives your brain cues about how much you’re “supposed” to eat -- and a bigger dish means more food. In one study, people at a Chinese buffet who got a large plate served themselves 52% more food, and ate 45% more, than those with smaller plates. Hit the pause button before giving in to a craving. 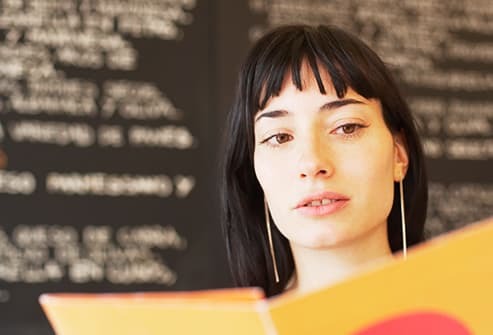 Eating because you’re bored, tired, or tense can make you feel out of control. Try to delay the urge to graze: When a craving hits, do something else for 5 to 10 minutes, then see if you still want to eat. Chances are, the urge will have faded, at least a little. 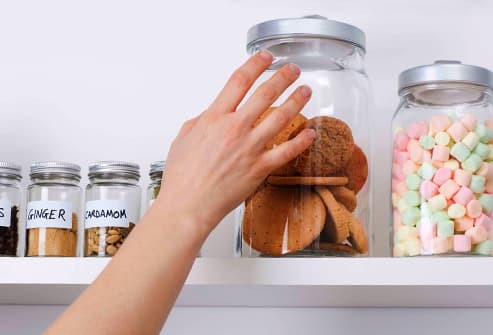 Keep unhealthy snacks out of sight. Stash junk foods like candy and chips where you can’t see them. You might eat less. When office workers kept chocolates on their desks, they ate 48% more than when the candies were 6 feet away. If they put chocolates in their desk drawers, they ate 25% less than if the sweet stuff was on their desks. A large container can tempt you to eat more food, even if you’re full or it doesn't taste good. In one study, moviegoers were given free popcorn in either medium or large tubs -- some was fresh and yummy, and some was stale. People given the fresh stuff in large containers ate 45% more than those who got it in medium tubs did. Even those who got stale popcorn in large containers ate 33% more than those with medium tubs of it. Eat slowly, and drink water. Take smaller bites. Chew your food slowly. Take a little more time between forkfuls. And drink water while you're eating. These simple steps are key if you want to cut back on calories and still feel full, research shows. Wansink, B. PLoS ONE, September 2013. Wansink, B. Journal of Experimental Psychology Applied, December 2013. Cornell University Food and Brand Lab: "Plate Size and Color Suggestibility: The Delboeuf Illusion Bias on Serving and Eating Behavior." Shimizu, M. Appetite, December 2011. Julie Friedman, PhD, health psychologist; assistant professor, Northwestern University Feinberg School of Medicine. Tal, A. JAMA Internal Medicine, April 2013. Painter, J.E. Appetite, June 2002. Garg, N. Journal of Marketing, January 2007. Wansink, B. Journal of Nutrition Education and Behavior, September–October 2005. Van Ittersum, K. Journal of Consumer Research, August 2012. Andrade, A.M. Journal of the American Dietetic Association, July 2008. Just, D.R. Department of Agriculture, Economics Research Service: Economic Research Report Number 43, June 2007.